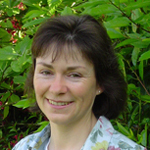 Jo Scamell currently runs an independent company, Ground Level Nutrition Ltd, working in soil, forage and livestock nutrition management and consultancy. This work relates progressive soil management to efficient nutrient utilisation and the subsequent impact on livestock health. Jo is working closely with Kingshay to further develop the soil improvement service, allowing the benefits of a focused approach on soil management to be more widely available. In 2007 her work was acknowledged through Nuffield Farming Trust, receiving the first 10 year Bullock Award for Innovation in Agriculture.